Looking for a special location to spend quality time with friends and family? 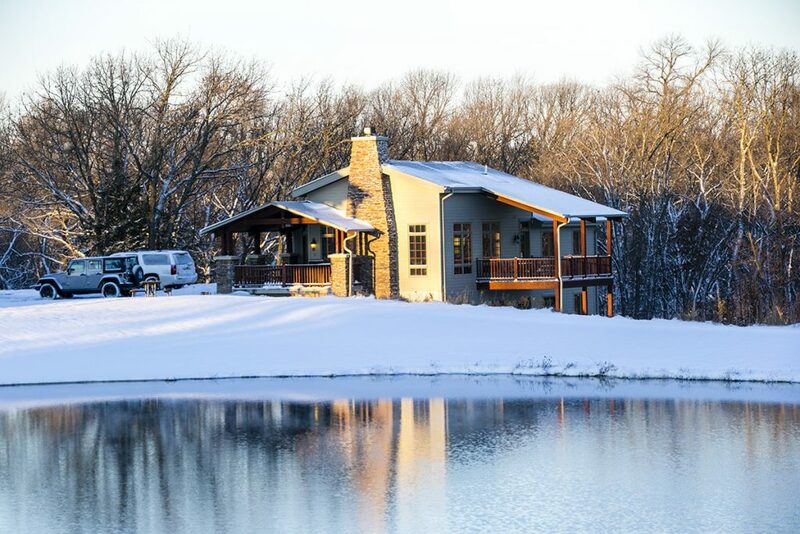 Visit a Nebraska state park and experience some of Nebraska’s most scenic settings with all the comforts of home in a cabin, mini-lodge or hotel-style lodge room. Take advantage of reduced lodging rates! 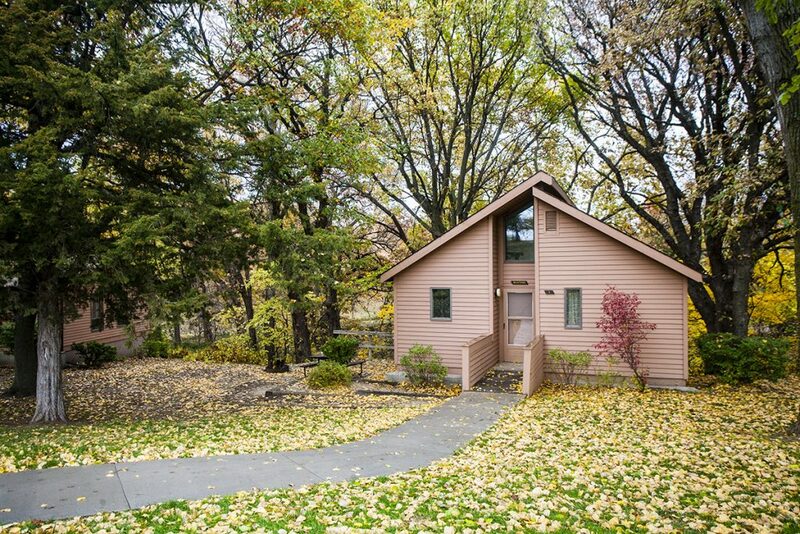 Now through April receive 30 percent off of a cabin or lodge room at various Nebraska state parks. Some restrictions apply. Make reservations online or by calling 402-471-1414. Each of the 10 park locations below offers friends and family a perfect location to relax, enjoy nature or embark on an outdoor adventure. Most of these lodging opportunities are available year-round. Choose one of these beautiful cabins or lodge rooms in our scenic state parks for your next getaway, then call or click to make reservations and start planning your trip today! Eugene T. Mahoney State Park near Ashland overlooks the picturesque Platte River Valley. This premier 690-acre park is open year-round and is located along Interstate 80 between Nebraska’s two largest cities, Omaha and Lincoln. The park’s 57 year-round fully furnished cabins, 40 hotel-style lodge rooms and year-round activities make this ultra-modern park your best selection for a getaway with all the amenities. 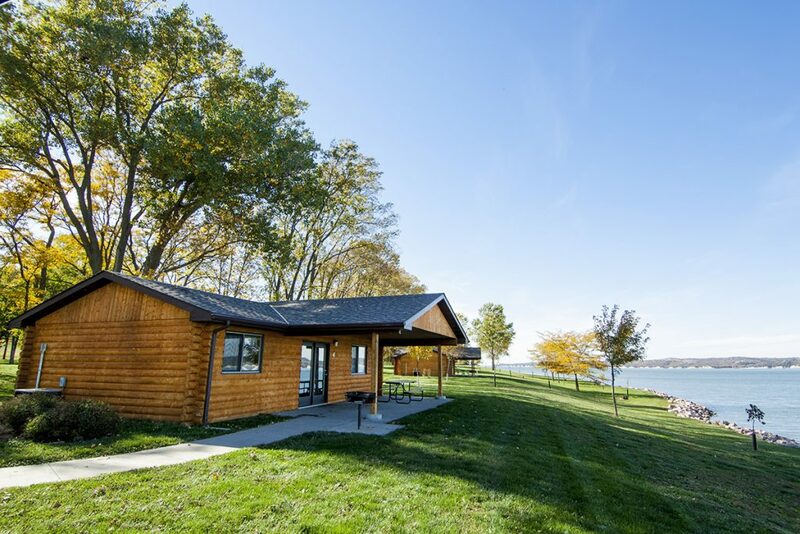 Platte River State Park, near the town of Louisville, is located only 8 miles from Eugene T. Mahoney State Park and offers guests fully furnished cabins nestled into the wooded hillside of the Platte River Valley. 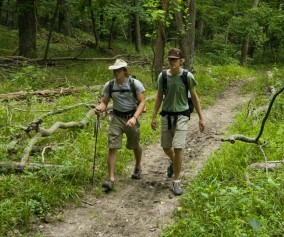 The park is known for its scenic hiking trails and picturesque waterfall. The charming, vintage cabins that once housed campers today provide cozy accommodations while the gorgeous new glamping cabins offer a luxurious yet nature-immersive experience. With 21 modern cabins open year-round and fun camper cabins open seasonally, guests will enjoy all of nature’s beauty in this quaint park. 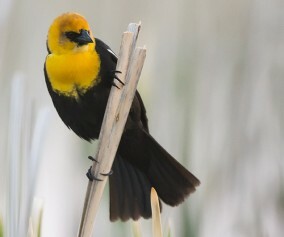 Two Rivers State Recreation Area is near Waterloo along the Platte River and provides a one-of-a-kind lodging opportunity. 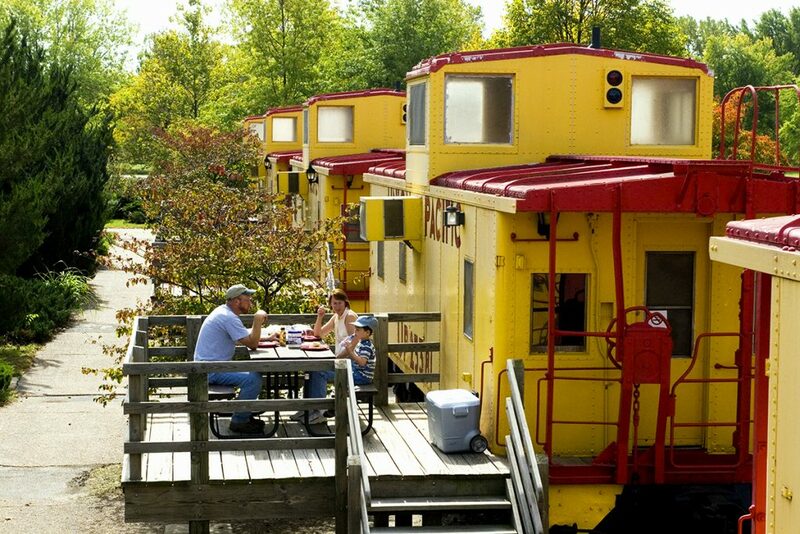 Climb aboard a genuine Union Pacific Railroad caboose for a truly unique experience in park lodging. Donated by the Union Pacific Railroad, 10 colorful remodeled and restored cabooses sit on their own tracks at the park. The cabooses each sleep six and are open mid-April through September. 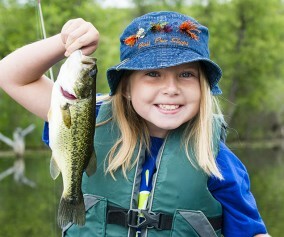 Two Rivers is a all-around great spot for fishing, camping, swimming and picnicking. Ponca State Park is made up of 2,600 acres of heavily-forested bluffs situated along the picturesque Missouri River. The park has 29 fully furnished cabins, 25 of which are luxurious year-round mini-lodges. Fifteen, mini-lodges feature four bedrooms, two full size bathrooms, large living areas with wood burning fireplaces and spacious modern kitchens, making them perfect for gathering friends and family or hosting a corporate retreat. Ten, two bedroom mini-lodges feature two bedrooms, one full size bathroom, furnished kitchen and living area with wood burning fireplace. The Missouri National Recreational River Resource and Education Center offers a state-of-the-art meeting and group event facility. Lewis and Clark State Recreation Area is Nebraska’s second-largest reservoir and offers fantastic outdoor recreation opportunities. 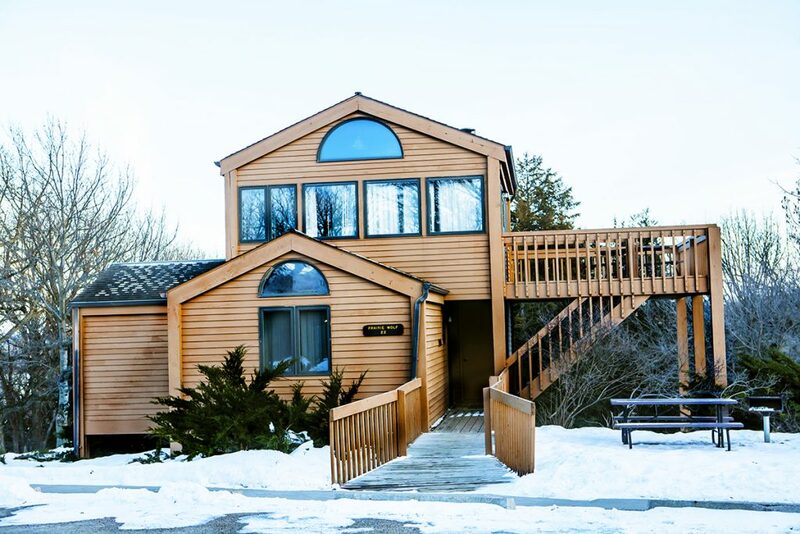 Enjoy this scenic lake year-round in a fully furnished modern cabin. These shoreline cabins offer two bedrooms, bathroom, kitchen, living room and a covered front porch that’s an ideal spot to watch the incredible sunsets. A grill and picnic table make for a fun family meal setting and a fire ring provides a spot to sit under the stars and make s’mores and memories. 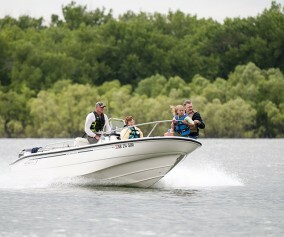 These cabins are located close to the Weigand Marina and boat slips. Niobrara State Park is situated at the confluence of the Niobrara and Missouri rivers and offers some of the best sunrises and sunset viewing from the comfort of your beautiful cabin. 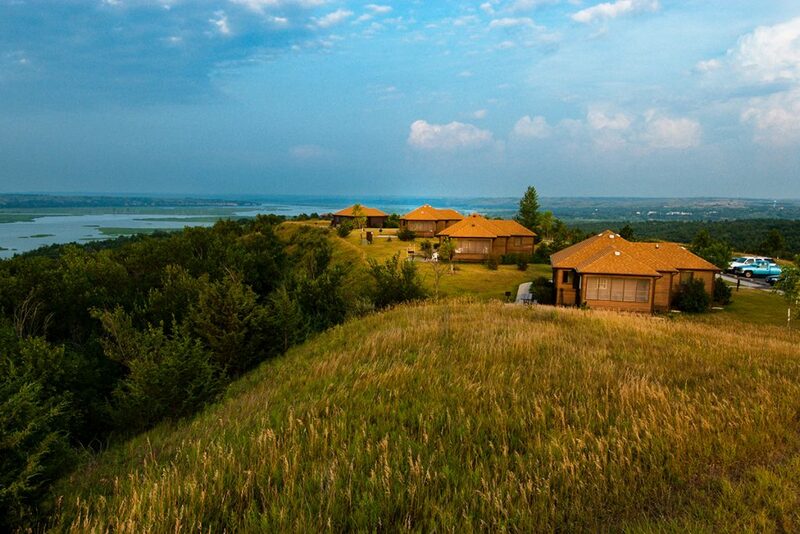 Niobrara State Park has 19 fully furnished cabins that sit high above the Missouri River, offering a commanding view of the breathtaking expanse of bluffs, cliffs and river. This 1,260-acre park is a perfect setting for a wide range of outdoor experiences. With cabin availability year-round, make this your first choice to share a memorable getaway with friends and family in a truly unique setting! Fort Robinson State Park is Nebraska’s largest state park with 22,000 acres of breathtaking Pine Ridge scenery and fantastic lodging. 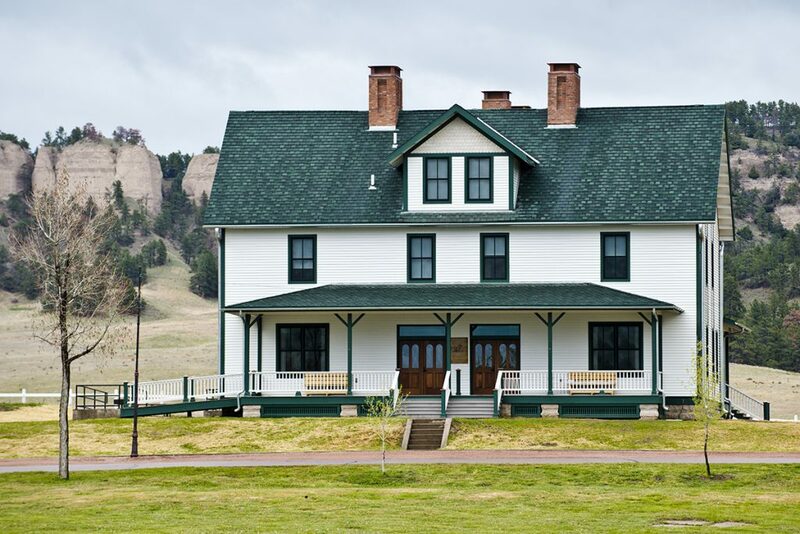 With a wide variety of lodging including cabins, historical officer’s quarters and hotel-style lodge rooms it is no wonder that Fort Robinson was named by USA Today as one of the top family reunion destination parks in the nation. Enjoy old west history along and scenic drives to see the park’s own longhorn and buffalo herds. Take a ride on a stagecoach or embark on an adventurous jeep or horseback ride up into the buttes. With an array of lodging opportunities and Old West hospitality, make Fort Robinson your next destination! 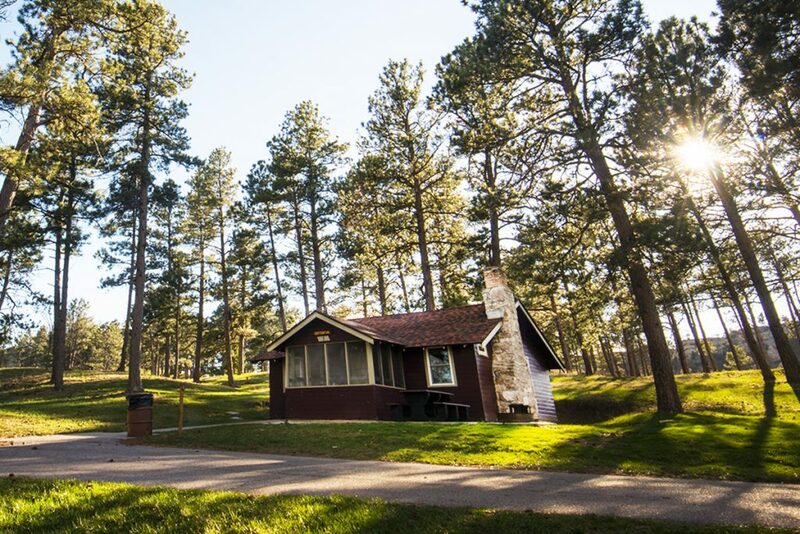 Chadron State Park is nestled into the buttes and canyons of Nebraska’s Pine Ridge and offers 22 cabins, with a few available year-round. 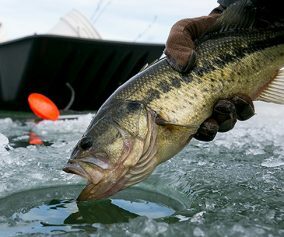 Fishing, swimming, paddle boating, hiking, mountain biking and cross country skiing are just a few of the outdoor activities offered here. With the Nebraska National Forest next door, you will find more than 100 miles of beautiful hiking and mountain biking trails; there’s plenty to see and do. Chadron State Park is Nebraska’s first state park and still today should be first on your list to visit! Medicine Creek Reservoir State Recreation Area (SRA) is located near McCook and is one of four of the Southwest Reservoir lakes. 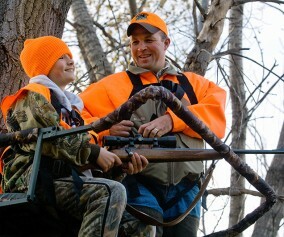 Medicine Creek SRA is an outdoor mecca, offering excellent fishing, boating and hunting. Along the shoreline of Medicine Creek SRA and near the campground at Shady Bay are four cabins available from April to December. These fully furnished, modern cabins each have two bedrooms and sleep four to six people. Each cabin has a deck overlooking the lake, which makes morning coffee on the deck a must! Victoria Springs State Recreation Area (SRA) is the oasis in the Sandhills located near Anselmo. This quaint park is one of the most picturesque areas in the state. It draws its name from the mineral springs located there, which were once the setting of an acclaimed spa. 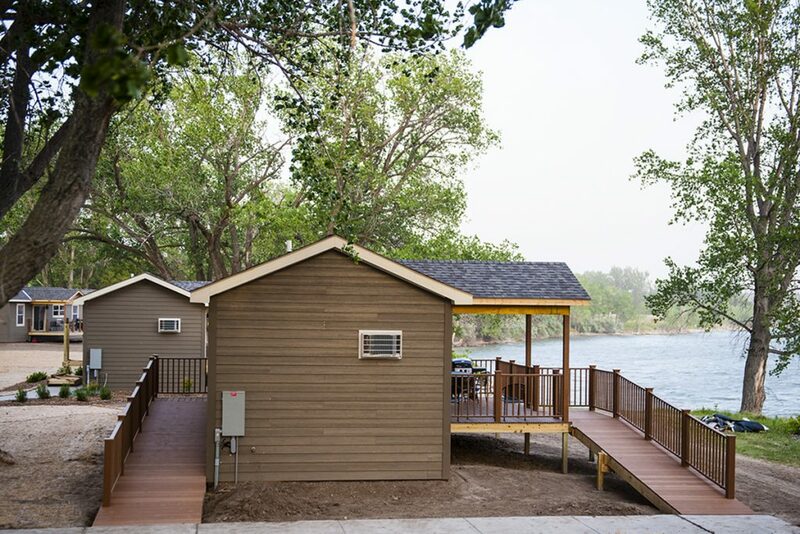 Today, guests may enjoy two fully furnished two-bedroom cabins equipped with kitchenettes. These cabins are located near the lake and each has a picnic table and grill making outdoor cookouts a must during your stay! Enjoy the peace and scenic beauty of the Nebraska Sandhills! Make reservations online or contact the Game and Parks Reservation Call Center to book your stay.